Bride and Groom strolling at the beach in Waimanalo. 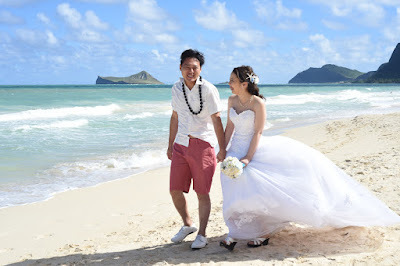 One of our favorite poses for Hawaii Wedding Photos. 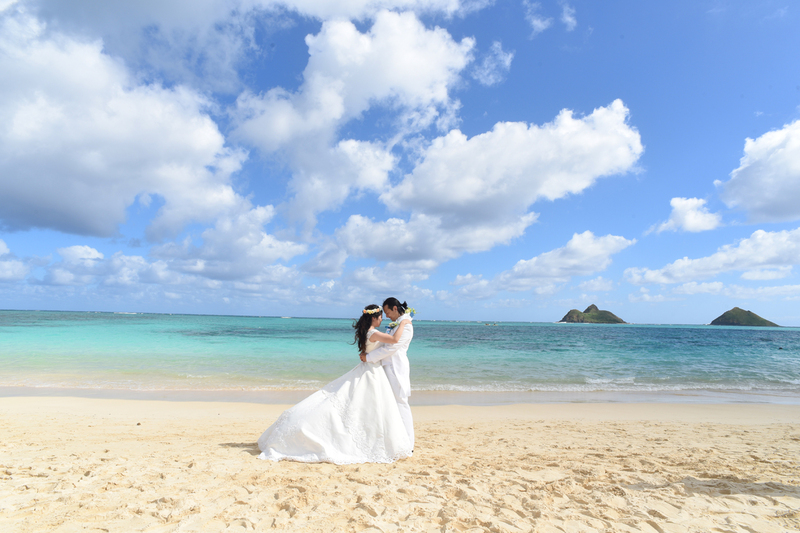 Romantic honeymoon on Oahu, Photography by Robert Hamilton. 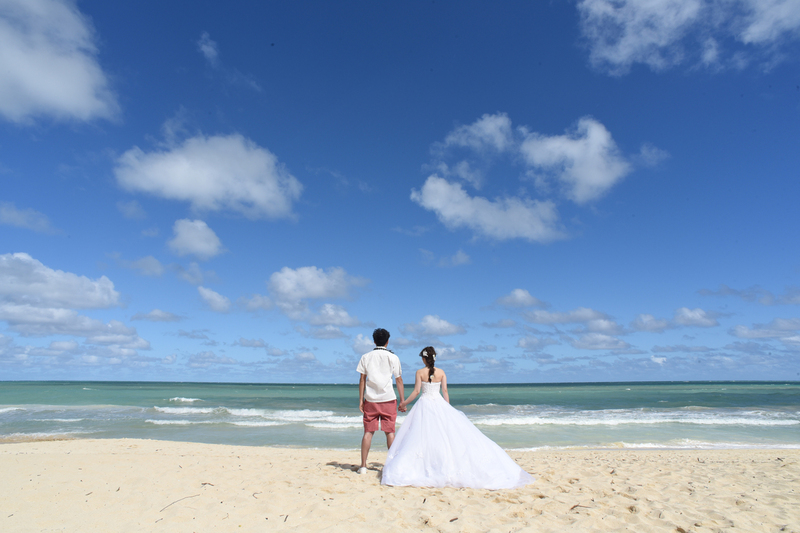 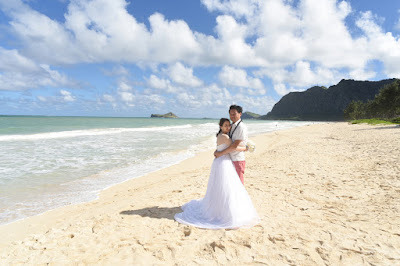 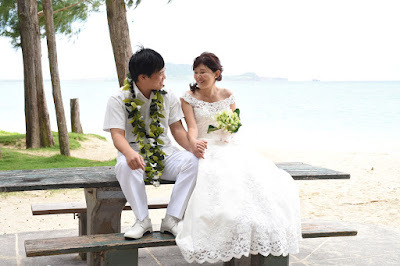 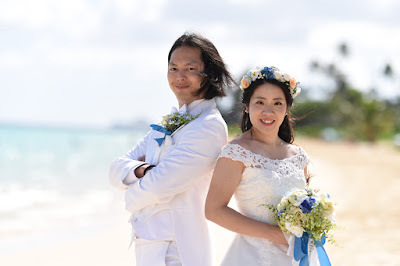 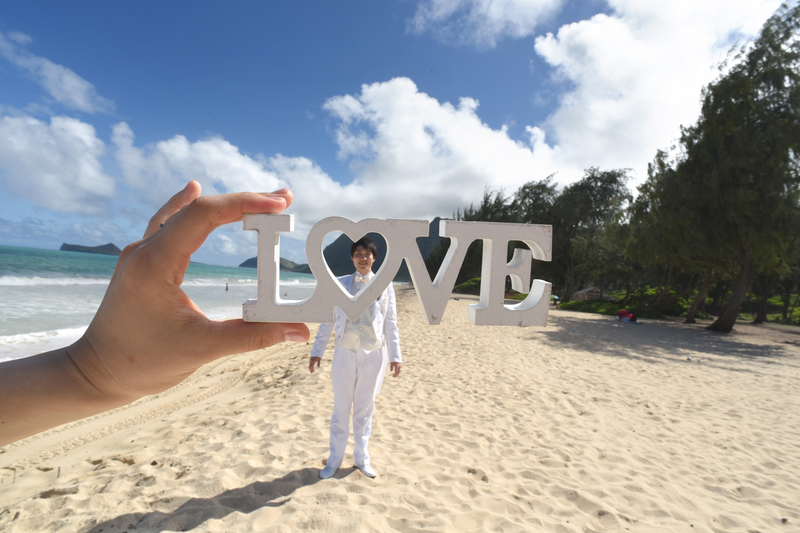 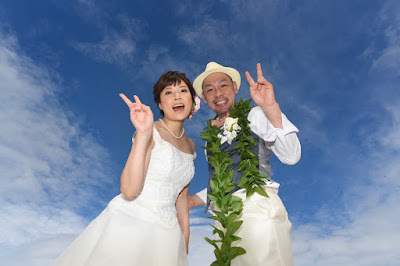 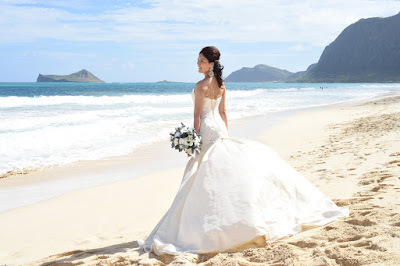 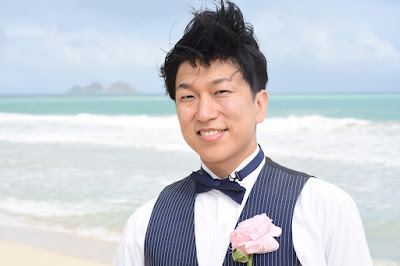 Romantic honeymoon on Oahu, with wedding photo tour at Lanikai Beach. 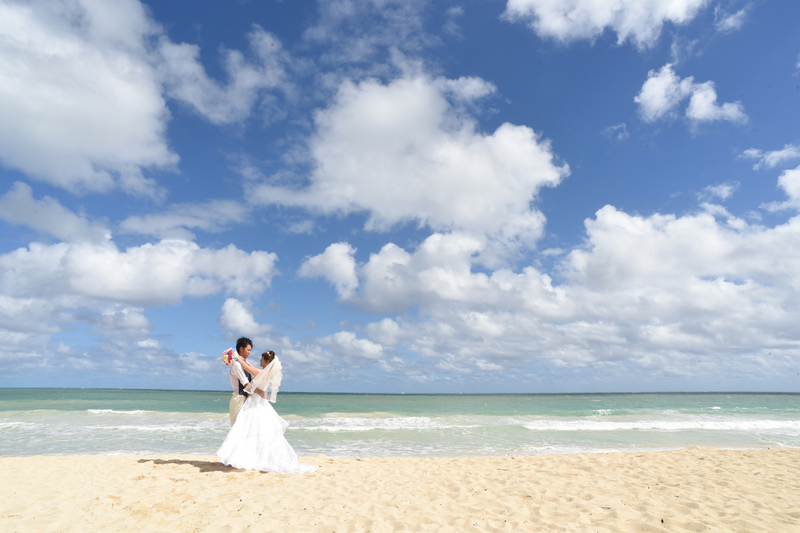 What a beautiful day in Paradise! 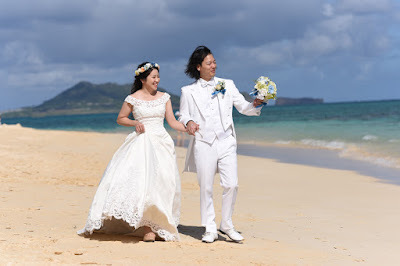 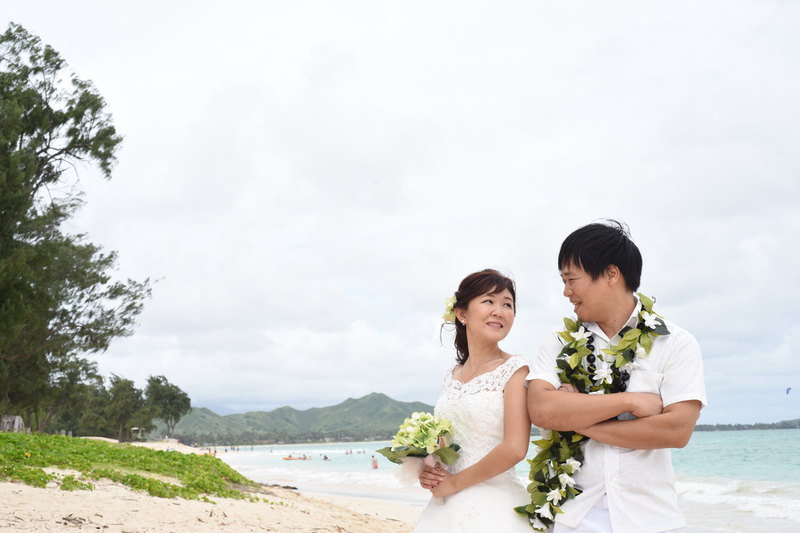 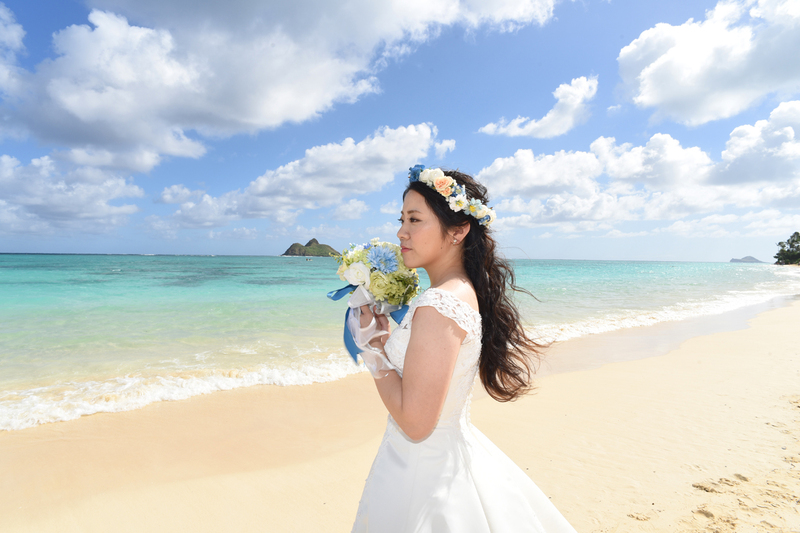 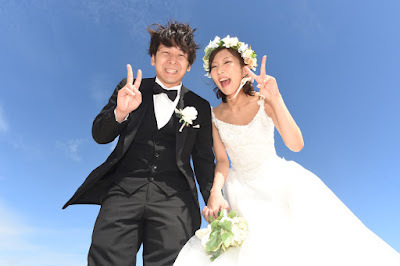 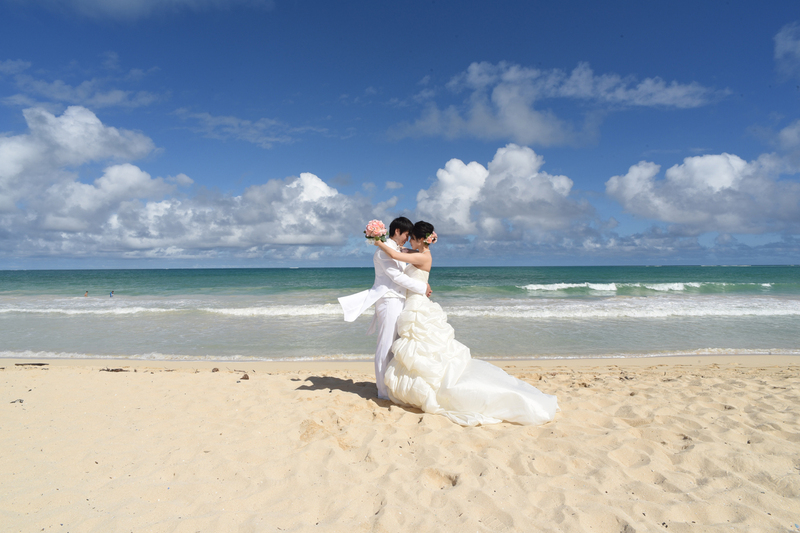 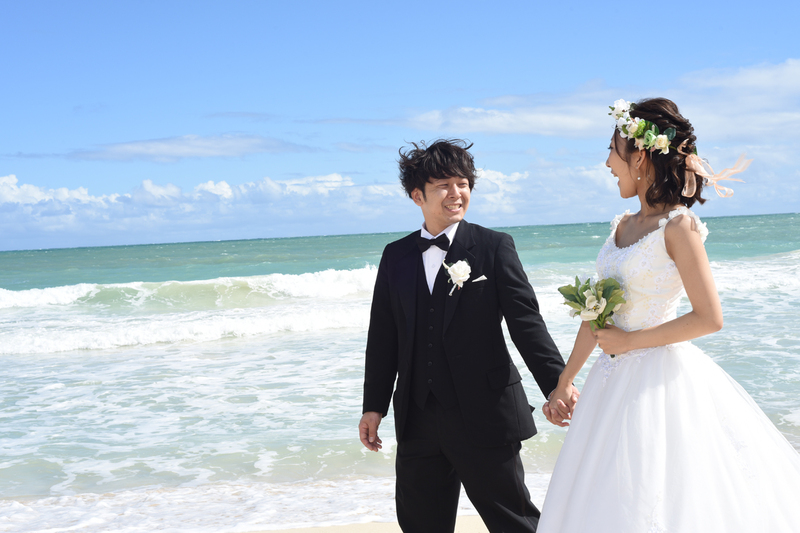 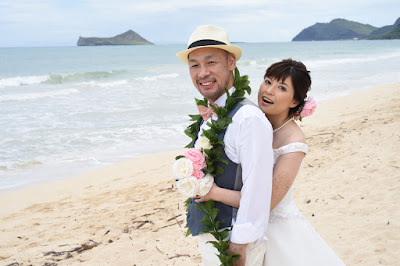 Beautiful wedding photo with Yuki and Arisa in Waimanalo with Bride's pink rose bouquet. 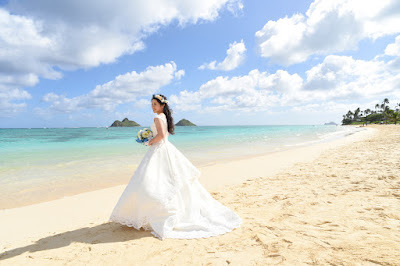 Hawaii wedding photos by Oahu Photographer Robert Hamilton. 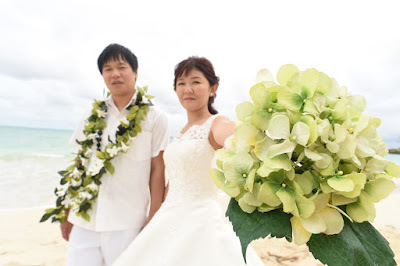 LOVE this photo prop idea! 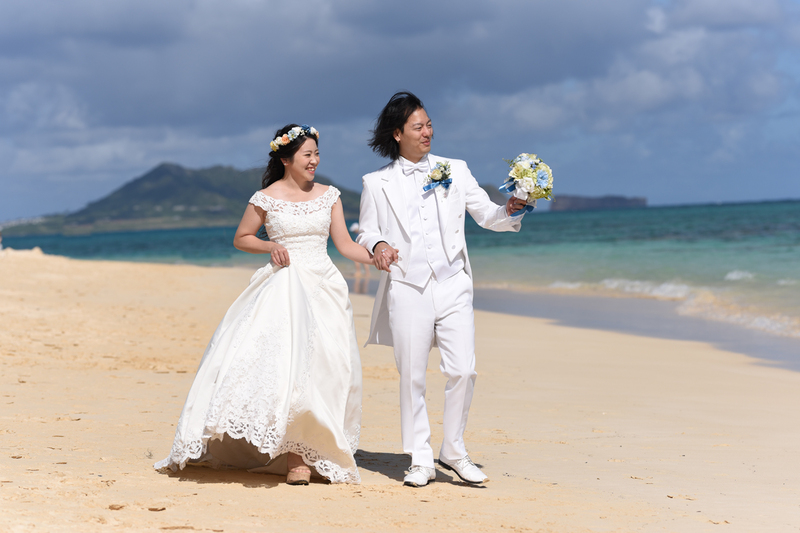 Bride and Groom stroll on the beach in East Oahu. 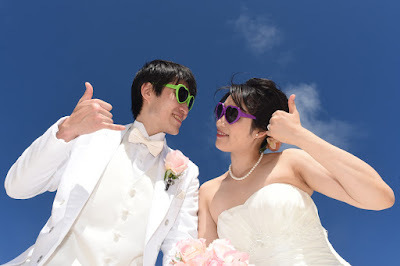 Amazing blue sky and colorful sunglasses make for fun in the sun on their Hawaiian honeymoon. Beautiful spot at Waimanalo Bay for Hawaii wedding photos with Satoru & Ayako. Photography by Robert Hamilton. Nice close-up view of the Bride's dress. 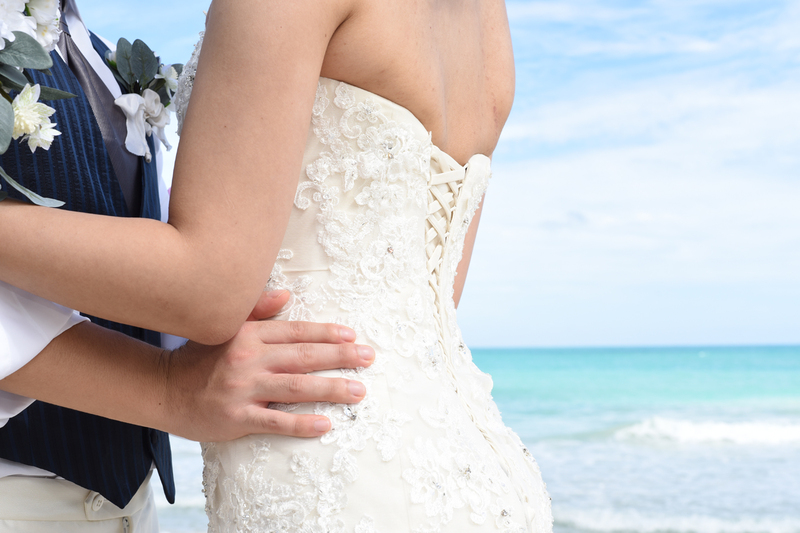 Groom helps show off the Bride's beautiful wedding gown. 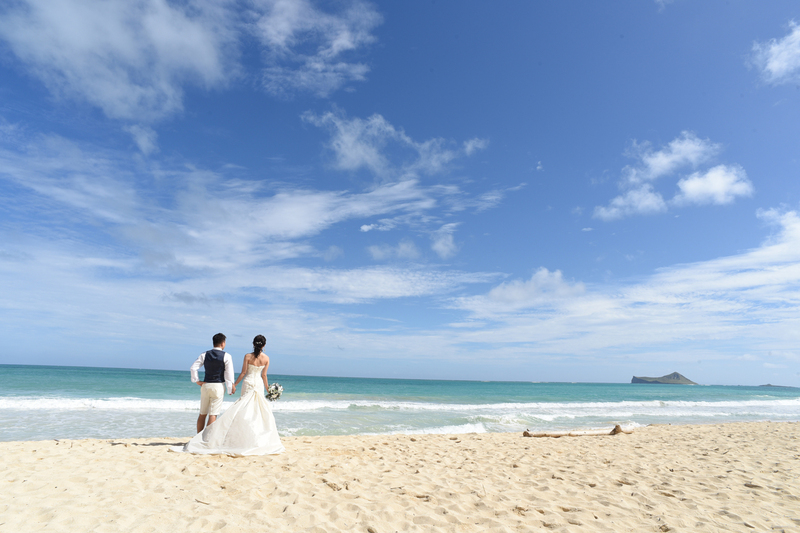 We had a brief window of blue sky on Nov 15th. 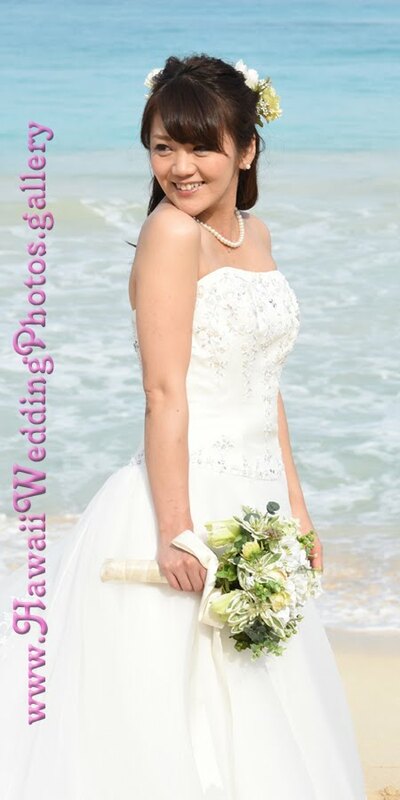 The bottom photo is the best. On cloudy days, remember, green turns out nicely. Nice blue sky in this "hello" picture!